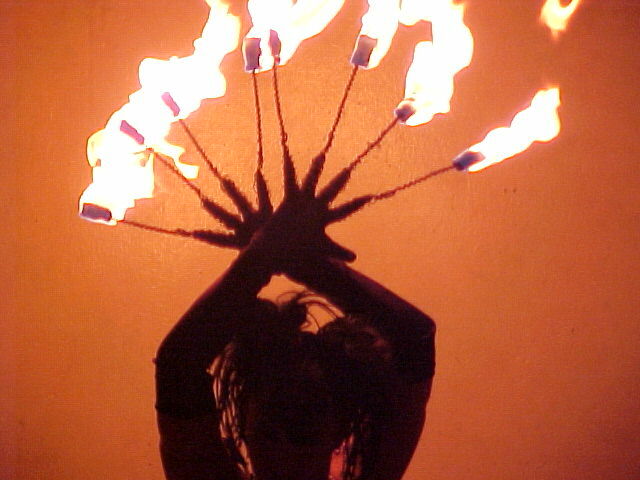 In fire performance, fire performers use fire Fingers as a fire performer accessory, a standalone fire dance art form, or as a segment within a larger fire show. 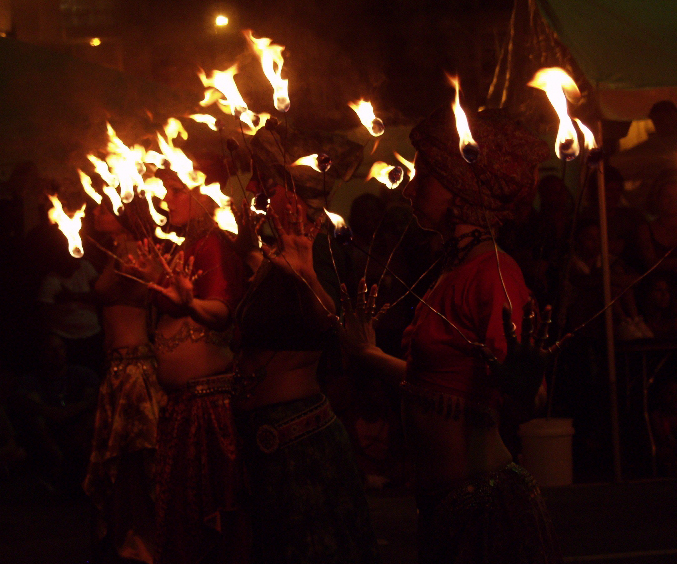 Multiple Fire performers may also create fire dance choreography, where all artists wear fire fingers. Fire belly dancers often use the fire fingers to complement a fire performance, sometimes, extinguishing the flame from the fire fingers, just as fire eaters would.